Most Americans realize that small businesses or startups are responsible for most of the new jobs that drive the economy. This process, sometimes called “economic dynamism,” is one in which the failure of one business promotes the creation of one or more small new businesses in order to fill a product or service niche. A prime example of this is the neighborhood restaurant or tavern. One opens, lasts about a year, and then closes its doors, to be replaced a month or a year later. This is the “creative destruction” portion of the American economy, and it revolves around the desire of many low-income first- and second-generation citizen immigrants to “make good” in a new country that appears designed for just such get-rich stories. In cases where a business fails to succeed, entrepreneurs tend to assume that the location is bad or the neighborhood too poor to support another business. In fact, nine times out of ten, the real problem is simply finding a product or service that residents of the neighborhood do need. It might not be a bodega but a nail salon, for example—and this is where entrepreneurs fail, in not doing their due diligence before borrowing money. Entrepreneurs, according to one financial source, are a species rapidly going as extinct as the black-footed ferret. It isn’t that immigrant Americans have lost sight of their goal—to succeed, preferably splendidly—but that the business climate has changed radically from the early 1900s. Bank loans are no longer available on a handshake, and hiring, operating, and environmental regulations have become so restrictive that few can find their way through the jungle of red tape to actual ownership. Even native citizens are intimidated by these regulations; imagine how much more baffled naturalized citizens feel, operating from a background where customs and language are so completely different it is sometimes like visiting another planet. This unintentional alienation is where naturalized citizens fail, particularly in a recessionary climate where loans to start a new business are hard (or impossible) to come by—as has been the case in the United States since the start of the recession and banking crisis that began in late 2006 or early 2007. This recalcitrance, particularly on the part of small to medium-sized neighborhood banks to continue lending (even though that is their vertical) has spurred the Small Business Administration, or SBA, to a more prominent position. It has also created several new lending sources, one of which is the microlender. 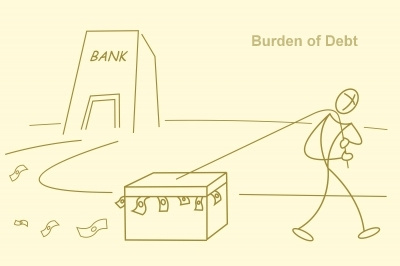 Unfortunately, some of these business-lending institutions, which provide from $1,000 to $25,000, charge ridiculous levels of interest and impossible loan service fees, or loan interest-only money which compounds into an impossible burden (particularly if it comes due in five years as a balloon payment, for example). Finally, by making payback so difficult that borrowers can’t avoid defaulting on their loans, the “predatory lender” gets title to the successful business operated by a failed borrower and sells it for even more money than the owner borrowed. The existence of these predatory lenders, or at least their prevalence in today’s society, can perhaps be traced to the notorious but highly lucrative “payday” loans, which lend smaller amounts (e.g., up to $1,000). These lenders describe themselves as the last resort of the poor, who can’t get loans anywhere else. In fact, the loans are the equivalent of an undertow, dragging the poor down into an ocean of rising debt. While new small businesses have been steadily declining since 1977, much of the recent loss can be directly attributed to the 2007–2009 recession. Other causes, notes one financial analyst, are the result of the Reagan years’ suspension of anti-monopoly laws, leading to more and greater mergers which consolidated wealth, power and influence in a handful of companies and in consequence destroyed small businesses’ ability to participate. Nor are impoverished white, Hispanic, African American, and other nationalities the only Americans suffering under predatory lending. Native Americans, many of whom were destitute at the turn of the century, have since taken advantage of business opportunities not made available to others and should be doing swimmingly. A case in point, in Minnesota, would be casinos. Unfortunately, the first entrepreneurs to attempt starting gambling casinos in that area borrowed money at rates sure to bankrupt them because lending in the Native American community was itself a gamble. Of course, not all microlenders (or lenders) are predatory. Take the SBA, which operates a Microloan Program and works through non-profit community-based lenders to improve the lives of the poor or those living in development zones in the U.S. and abroad. Another resource is the Community Development Credit Union, or CDCUs, operating on the deposits of its members and surprisingly successful in this post-recession era. As one expert notes, the only way the nation can get back to its former prosperity, which made entrepreneurs of anyone with a dream, is to return to the state of regulated business that operated in the first half of the 20thcentury. Setting the standard for that new business climate is veteran Congressman John H. Conyers (D-Mich.) and six other members of Congress, who jointly support HR 6139, which aims to federally charter predatory lenders so as to bring them back into the fold of legitimate financial institutions so that their behavior can be monitored. Have you experienced a predatory lending situation? Have you been successful because of a legitimate micro-lender program? Share your stories and comments! Interesting article, Andrew. I have heard much more about the burden over-regulation puts on small businesses, so I appreciate your point that predatory lenders have filled the void left when local banks tightened their lending practices. I look forward to the day when those at the top levels of our government recognize the vital role that entrepreneurs and small businesses play and give some support. Very informative! Glad you enjoyed the article Michal. Thank you for your comments!